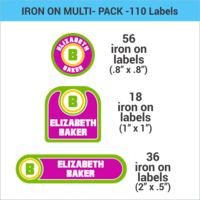 Our Iron On Name Labels Multi-Pack includes all the sizes of iron on clothing labels you need. This clothing labels multi-pack includes 3 different sizes of our permanent, iron on clothing labels. 56 - Iron On Small Round clothing labels - .8" x .8"
18 - Iron On Small Square clothing labels - 1" x 1"
36 - Iron On Small Rectangle clothing labels - 2.0" x 0.5"
56 Small Round Iron On Clothing Label 0.8" x 0.8"
18 Iron On Small Square Labels 1" x 1"
36 Iron On Small Rectangle Labels 2.0" x 0.5"
This pack includes 3 different sizes of our permanent, iron on clothing labels. 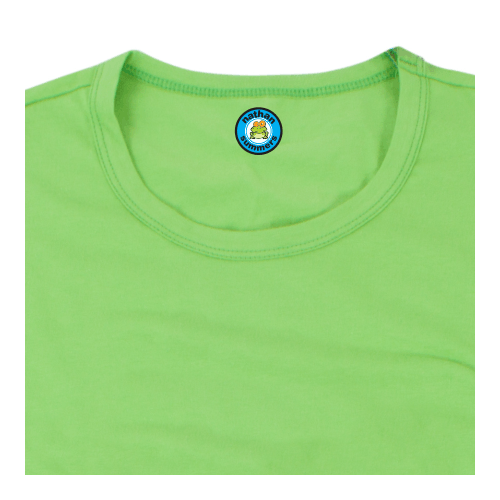 Each iron on name label is easy to apply and are great for all cotton, polyester and lycra materials. You might also find our stick on Clothing Label Multi-Pack! 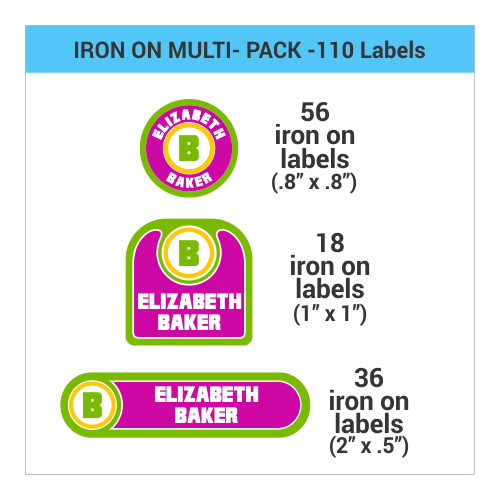 The iron-on labels in our Iron On Labels Multi-Pack are waterproof, permanent and laundry-safe. 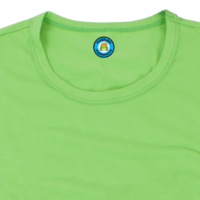 Apply iron-on labels to cotton, polyester, cotton/poly blend and lycra fabrics. Make sure label corners are securely adhered to the surface. After ironing on your label - wait 24 hours before exposing to water.